Signature Japanese Satin makes a return for Spring 19 in colorblock. The lightweight nature of the Davina Skirt gives the style movement and body. 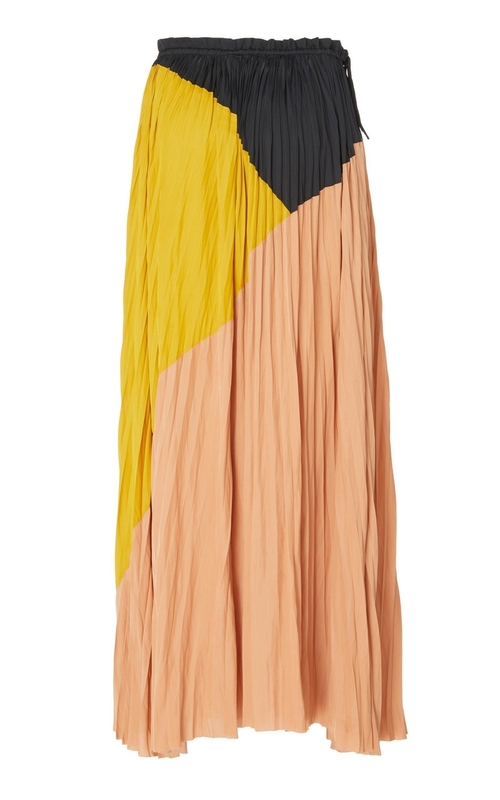 A midi length style featuring intricate plisse pleating, drawstring waist with beaded ties. Size 4 measures 37" from waist to hem. Our model is 5'10" and wearing size 2. Model's measurements: Bust: 32", Waist: 23", Hip: 34".